2010 has been an amazing year to experience such beauty of our beaches and seashells on these tropical islands of Sanibel, Captiva and our gulf coast. While thinking of the fun adventures we’ve had this year, I started looking back at this years posts and found myself smiling at so many fond memories. I tried to choose just a few of my favorites but I couldn’t make my list any smaller than 10 posts. Starting at #10 and working my way to my #1 fave post…. so here ya go…..Click on each picture or title to see the post to understand why I chose it. 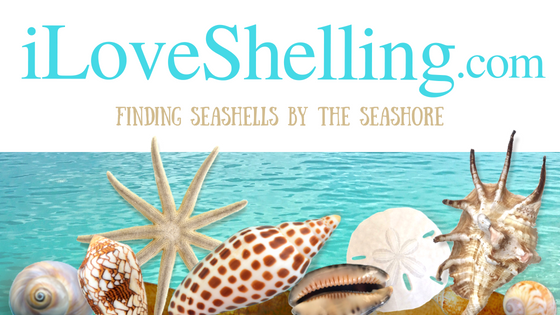 And Now for the #1 iLoveShelling post of 2010…… Drumroll Please! …..
Pam, I thank you so much for your I Love Shelling website! As 2010 comes to an end, having found you and being able to see all of the wonders and adventures on the West Coast, confirms that living in Florida is “Paradise”! You make each day a “seashell adventure” to all of us faithful “Shellers” just by posting your videos and pictures when we are not able to get out to the beach everyday…..looking forward to a quick trip over to Sanibel very soon in the New Year! Thank you Pam for getting me interested in such an amazing hobby. I look forward to your blogs and get disappointed when you skip a day. I will let you know when my canvas with the photo comes back. I an very excited about it. Keep up with your blogs as so many people enjoy them. Happy New Year to you. My favorite is #6 because I was there to see that rainbow in person! Cockle Hop is a close second! Happy New Year Pam! I love them ALL!!! Thank you for bringing me joy with your photos and knowledge with your blog and here’s hoping to a fabulous 2011. My favorite is “Seashells Under The Rainbow”. That would look beautiful in a child’s room. WOW…how does one choose? I am most drawn to the Angel Wings on the Gulf Coast! When and where did this happen? They are amazing. And I see whole shells with both halves! I’ll be dreaming about that one for my next trip here. I have to say one of the highlights of 2010 has been finding your blog and then to actually meet you in person, Pam! You are an amazing woman, you glow with such light and joy. You share so readily with us “shelling sistahs” and have educated a great many people. I met a woman from California at Blind Pass this morning who also follows your blog! You touch many many people! Looking forward to seeing what you post in the New Year! Have a great one! Love ya! Pam, these are all great and thank you for doing this. Your photography is fabulous. My most favorite picture on your blog is the two little girls holding the shells. I don’t know if someone took it or you did it but the littlest girl had such a cute smile. Thanks for helping me understand shelling on Sannibel and Captiva. If you are coming to Honeymoon Island I will show you where to shell! Aloha Pam: Your amazing videos, pictures and blog make my day! I’ve just started viewing your website last month when I booked my first (I’ll bet of many to come…) trips to Sanibel. Thank you so much for the top ten! Can’t wait to be there in April. I’ll bring a few of my Hawaiian favorites. Shells are so different in various parts of the world! Pam’s Top 10……gotta love it. Happy and Healthy 2011 to you and Clark. Keep those pics coming. I really enjoy and look forward to your great blogs and “shelling” right along with you. Hope luck is with you and your quest for the Junonia this year. My favorites are the Angel Wings and Wentletraps. All the photos are beautiful, thank you Pam. I can’t wait to see what 2011 brings. All lovely posts. Happy new year. Only 2 more weeks to go to Sanible. I love the wentletrap video which has become my guilty pleasure. Thank you for all the cybershelling you’ve been sharing it’s the next best thing to being on Sanibel or Captiva. I love your website. I love them all, but I especially like the videos. I love the videos when you are shelling because it makes me feel like I am right there. Keep them coming! Thanks and Happy New Year! A blessed new year to you too! :) I think my favorite thing about the holidays on the islands was all the cute and festive artwork I saw on the beach. The ones you found are great! Thanks for adding this to the Linkup, Pam!! Great post…., and I still can’t believe that you found that big one!!!!! Happy New Years!!!!! !